The Nashville-by-way-of-Georgia trio “Lady A” releases their power-pop single “Lookin’ For A Good Time." Although suggestive of romance, the song carefully walks the line as a simple party-crasher anthem in disguise. What happens when you add a superstar vocalist with acoustic instruments? You get something "For All The World To See." The first national release for Minnesota's Becky Schlegel. Sometimes it takes somebody to cross the threshold of those confident twenties to come back and provide moral support and confidence to younger peers. That seems to be what Kellie Pickler is attempting on her new single. Rascal Flatts has been using the "Bob That Head" theme for their 2008 concert tour so it was probably inevitable that the star trio would release it as their summer single. That being said, is it any good? 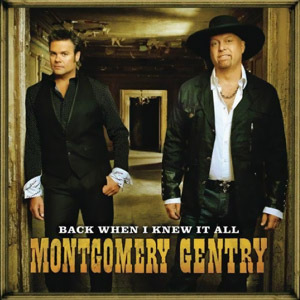 When "Some People Change" failed to provide the usual sales numbers for Montgomery Gentry, they decided to return to the harder-edged sound they're known for. Does the record live up to previous efforts? So what do we make of the mess that appears to be Nashville Star. They have good judges who are actually relevent to the current country climate but NBC then hires a VH1 reality show producers to choose the contestents? 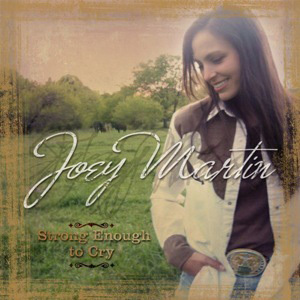 With her recent apperance on "Can You Duet," with her husband Rory Feek, Joey Martin might just be on her way to country stardom. Here's our review of her album strong recorded in 2005. With the year drawing to a close, Roughstock editorial team has chosen their favorite country singles from 2008. Keith Urban's recent Number One Hit "You Look Good In My Shirt" was the 38th best single.